Set amongst the rolling hills on the banks of Greenock Creek in the Barossa Valley, Hentley Farm is a boutique, single-estate vineyard that produces distinctive and exceptional wines. Hentley Farm is a winery based in Seppeltsfield specialising in producing premium quality single-estate and single-block wines solely from the vines grown on our Seppeltsfield property. We aim to connect guests with the vineyards, the wines, the farm, and more broadly the Barossa itself. Hentley Farm has a cellar door that is set in the Farm's painstakingly restored 1840's original homestead. It is open 7 days a week, (except Christmas day) from 11am - 5pm. 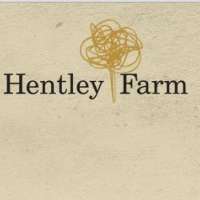 Contact Hentley Farm today and arrange an appointment for your own exceptional wine experience.